We are offering our client an excellent quality range of Hydraulic Punching Machine. Also, we ensure that only quality raw material is procured from the renowned vendors in the industry for manufacturing these machines. 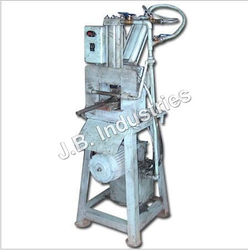 Hydraulic Punching Machine - both semi automatic / fully automatic machine is available in all sizes with pressurized bed. 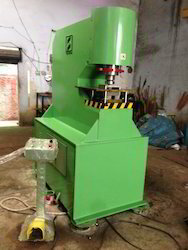 We are offering Hydraulic Punching Machine. The machine has to be extra charged for making T shirt Bag because to produce t-shirt bags, there should be one more ultrasonic, and also machine structure is different designed. Also Need Hydraulic Punching Machine. Also one Option, we can give Automatic Punching device. We are engaged in offering a comprehensive range of Hydraulic Punching Machine, which find application in various industries. These are of durable nature and consumes less power. Further, these are available at market leading prices.